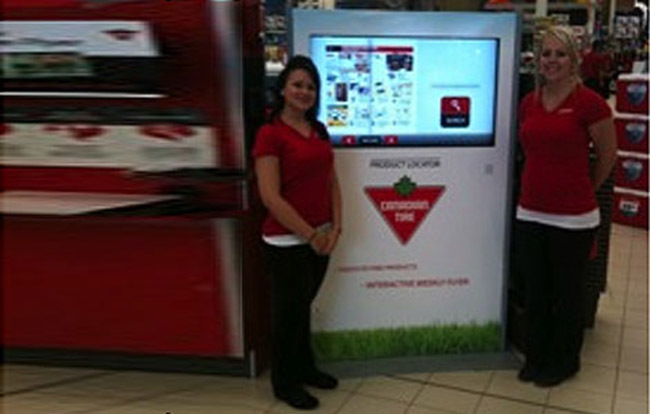 Interactive wayfinding helped Canadian Tire customers find the latest products in-store and/or search the interactive flyer featuring weekly specials. Sponsored by Coleman, each participant who searched for Coleman products received a free gift. Coleman reaped the sponsorship program benefits with enhanced merchandising and offers to move significantly more product during the key Canada day long weekend. After the proof of concept success in-store, this powerful interactive concept is rapidly scaling into many additional retail locations. This collaborative in-store program support also secured Coleman prime merchandizing product placement.